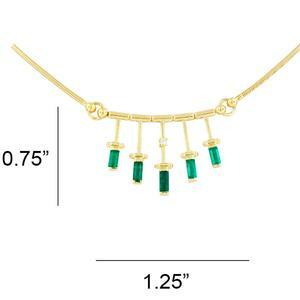 This spectacular emerald and diamond necklace is made in 18K gold, with a wonderful selection of 5 baguette cut emeralds in stunning deep green color full of life, and one small round cut diamond in the middle. 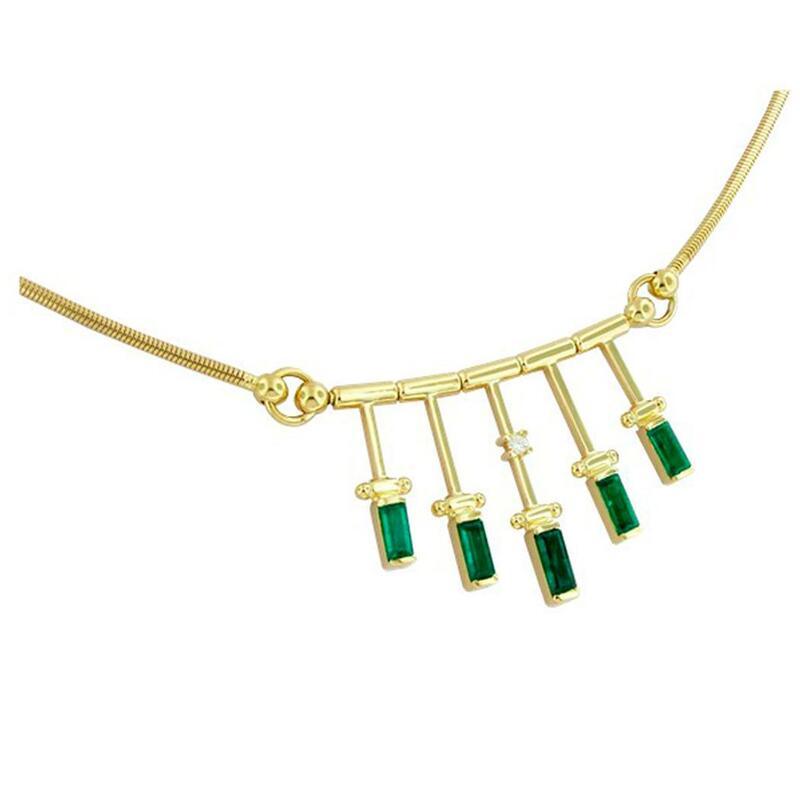 Each emerald is set separately in 5 long gold pieces that feature small channels at the top, where all are linked. 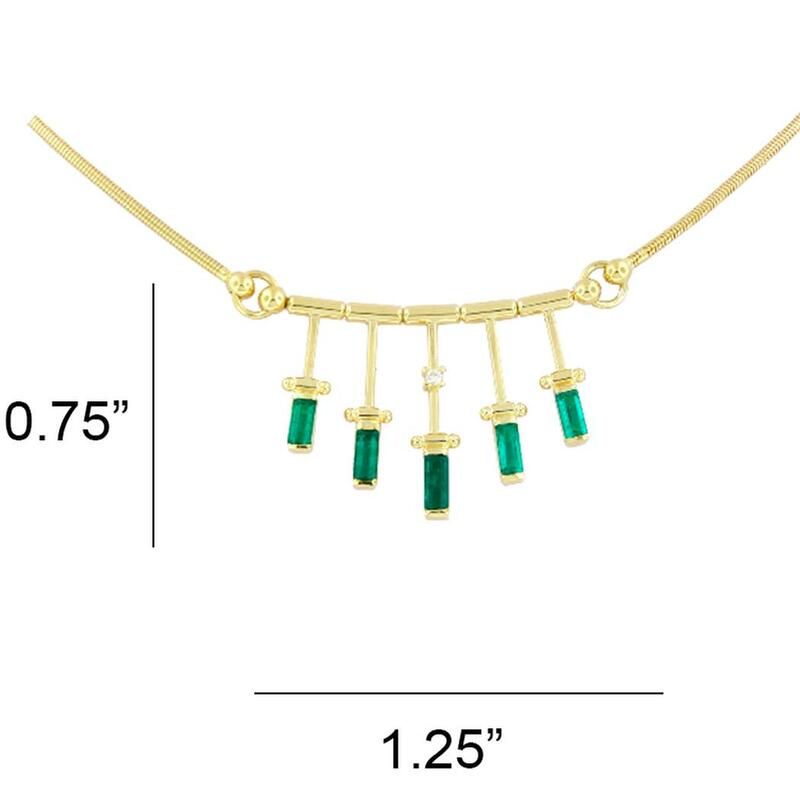 This allows the movement of each piece adding a lighter and different look to the whole necklace.